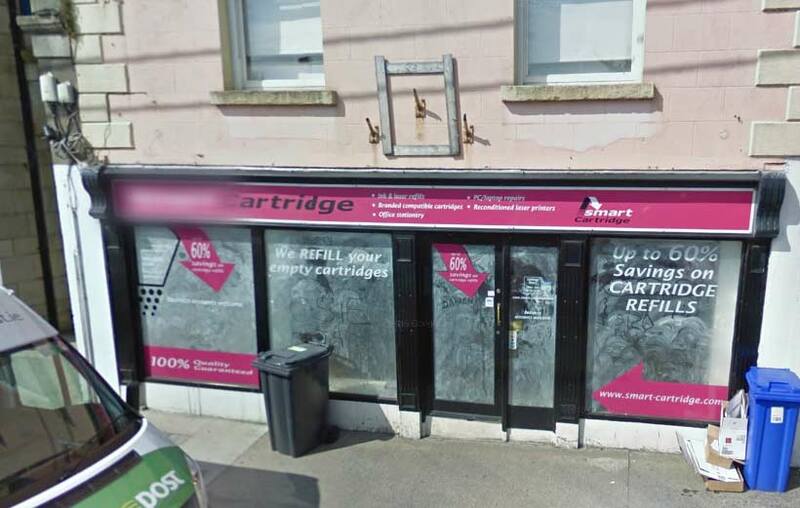 A Google Street View image of the closed Smart Cartridge premises on Wexford's Custom House Quay. Smart Cartridge used to sell PCs, laptops, PC accessories and as the name suggests, printer cartridges. More recently, the building was home to Dinero Fine Art & Antique.